Credit cards have become the norm. According to researchers, more than 60 percent of the US prefers to carry credit cards rather than cash. As a result, small retailers do need credit card machines to process card payments. However, small retailers often think twice about accepting credit cards. They might not be able to afford the instrument or the fees and the entire process is long and complicated. What these companies need to realize is that credit cards are the future, states Transfirst. Accepting credit cards and debit cards ensures a ready cash flow, and this is, of course, very important for small business. If you don’t have a credit card reader and are wondering whether you need it, here are a few reasons that should convince you right away. 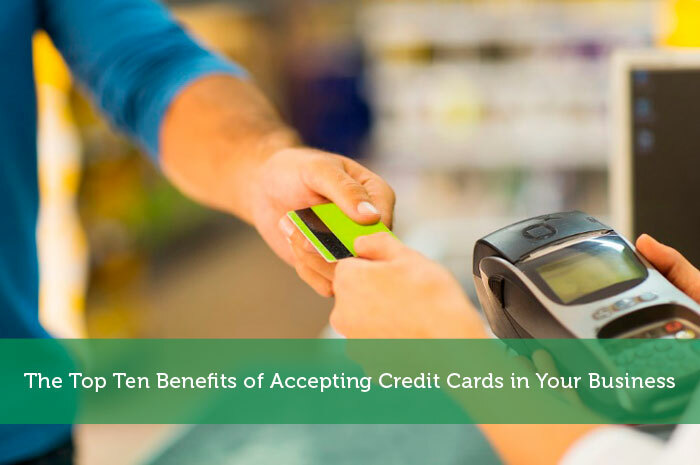 Fact # 1 – Accepting credit cards will increase your business. Researchers noted that small business owners who invested in a credit card doubled their business almost immediately. Fact # 2 – Accepting a credit card from customers shows customers that your business is legitimate. Website owners or retailers who accept credit cards can easily show VISA and MASTERCARD logos on their website. This assures customers that the business is legitimate and they are more likely to make a purchase from the website. Fact # 3 – Retailers notice an immediate improvement in their cash flow. This is a very important fact for fledgling businesses. According to statistics, most new businesses fail in the first year of business due to poor cash flow. A credit card ensures that cash is transferred directly into your merchant account and you know how much business you made per day. Fact # 4 – Immediate payments are possible. Unlike checks, credit card payments are immediate. This means that you do not have to wait for a check to clear. The payment clears immediately and cash is deposited into your account at once. Fact # 5 – Customers trust credit cards. They know that credit card companies use stellar security measures to protect cash transactions online. Moreover, credit card payments are insured. In case of a theft, customers can lock credit cards and they can even reclaim their lost payments in the event of a security breach. As a result, they prefer to use credit cards rather than checks or cash for online or realtime payments. Fact # 6 – Impulse payments are possible online through credit cards. Credit cards can be used online for spot purchases. Even if the customer is tight on cash, a credit card allows them to impulse buy products and this is great for website owners. Fact # 7 – Larger orders are possible as well with credit cards. Depending on income, credit card holders are allowed a certain spending limit. This limit allows credit card holders to buy more merchandise than non-card holders. In fact, studies have shown that credit card holders buy more than non-credit cardholders and they are much more likely to impulse buy. Fact # 8 – Technology is racing forward and multinational companies use credit card terminals to process payments. Customers love this convenience and they are more likely to take their business to retailers who do offer credit card options. If you don’t offer this option to customers, then you are losing to the competition. You need to accept credit cards to remain competitive in the current business market. Fact # 9 – Quick and easy set up procedures make it easier for almost very vendor to invest in credit card terminals. All you have to do is approach a software and hardware vendor and discuss the process with them. You should know, too, that the days of high rates and fees are gone and almost every business can invest in a simple, affordable credit card system. Fact # 10 – Miniaturized credit card terminals are now available for customers. These terminals are cheaper, they are easier to set up, and they have lower per-transaction fees. In fact, small business owners can actually process credit card payments anywhere with miniaturized terminals, even at fairs and farmer’s markets. The main reason you should accept credit card is that it increases business, says BusinessNewsDaily. With a credit card, payments are immediately deposited into a daily merchant account. The business knows exactly how much cash they are getting and the cash is stored away in a business account. Of course, Forbes says that if the traditional credit card machine is expensive, retailers could always opt for smaller miniaturized credit card systems. POS vendors like Shopify sell state-of-the-art miniaturized credit card terminals that are easy to use and have minimal fees. All you have to do is plug the miniaturized credit card terminal into your tablet or smartphone and you can process credit card payments anywhere. Yes it is true that benefits of credit or debit cards can be ample, but one needs to be aware of the terms & conditions properly, before making these utilities in use.